She said: Can you run down to the liquor store and pick up a bottle of wine? We only have twenty minutes till dinner. I heard: Can you run down to the liquor store and pick up twenty bottles of wine? We only have a minute till dinner. She said: We’re over budget on wine already, okay? Don’t go crazy if there’s a sale. I heard: We looked over the wine budget already and it’s okay. Hopefully there’s a crazy sale. She said: And don’t stop at Home Depot on your way home. We already have a garage filled with tools that you never use. She said: And if they’re pouring free samples don’t stay and try them all. My parents will be here soon. I heard: You’ll probably have time to try everything if you drink them fast. You know I love it when my parents visit and you have your buzz on. She said: And don’t use the blue credit card. I’m waiting for the statement to come for that one so I can figure out which month our vacation bill shows up on. If it’s on next month’s we’re okay but if it shows up on this month’s we need to be careful. 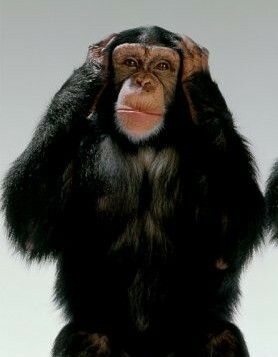 Did you hear me, Honey? Don’t use the blue credit card. I heard: Something something something credit card, something something vacation something something. I heard: Hurry back. And don’t hesitate to buy yourself an early birthday gift while you’re there. Christmas is right around the corner too so you can beat the rush by buying now. I probably won’t even care if you get the $200 Opus One. Or maybe you can get it and just hide it in the basement so I don’t find out. 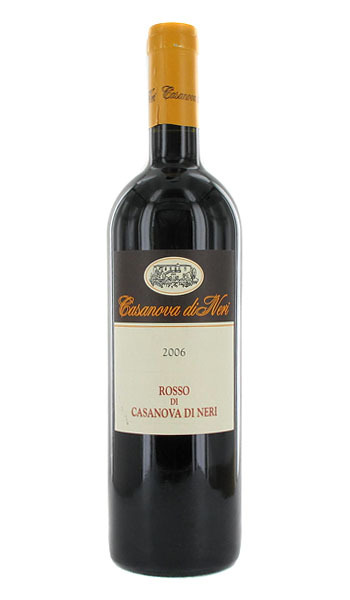 Casanova di Neri Rosso di Montalcino 2007, Sangiovese ($19.99): If you can’t remember the phrase, “Don’t use the blue credit card,” you’ll never remember the name of this wine. Write it down because it’s one of the best deals I’ve come across. Casanova is a great example of what the Italians do well (besides using hand gestures and honking their car horns). Here they take Sangiovese, the grape used to make Chianti, and display its absolute finest qualities for under twenty bucks. This bottle is a great wine for anyone who wants to get their feet wet with the European style and not end up with a wine that tastes like you need to wear a beret, a goatee, and a striped shirt to appreciate. Buttered Popcorn: Meridian 2008, Chardonnay ($9.99). This is a perfect pairing. The wine even smells like buttered popcorn. The fermentation style used to produce many California Chardonnays creates a creamy, buttery taste. Combine that with the creamy vanilla flavor that the oak barrel adds to the wine and you have two items that each make the other taste better. Sausage Pizza: Seven Deadly Zins 2006, Zinfandel ($16.99). The spicy finish makes this wine taste as if it came out of the same pan as the tomato sauce. This Zinfandel is big and bold enough to stand up to fatty sausage without getting overwhelmed. Bold, spicy, hot flavors are perfectly cut out for bold spicy wines. Peperoni Pizza: Innocento Tramonti 2004, Sangiovese ($13.99): Sangiovese, the grape used to make Chianti, is a natural for all things Italian. The acidity of the wine fits seamlessly with tomato sauce. This wine also displays a faint smokiness that pairs perfectly with an oven baked pizza crust. The flavors of cherries and red apples are a bonus. Like the Vikings playing well for four full quarters, this wine is complete from the first aromas all the way through to the long lasting finish. Slim Jims and Beef Jerky: McManis 2007, Syrah ($12.99): The pepperiness of a Syrah, or Shiraz if from Australia, goes hand in hand with spicy meats. There is also a gamey element to this wine which pairs well with beef. These two are like meat and gravy. You are currently browsing the archives for the Sangiovese category. Enter your email address to subscribe to this blog and receive notifications of new posts by email (aprox. one per week).